Part 2. Research: Positive and negative space. Patrick Caulfield Screen Print Curtain and Bottle 1973, demonstrates the use of positive and negative space powerfully and simply with a few lines and blocked out black space. 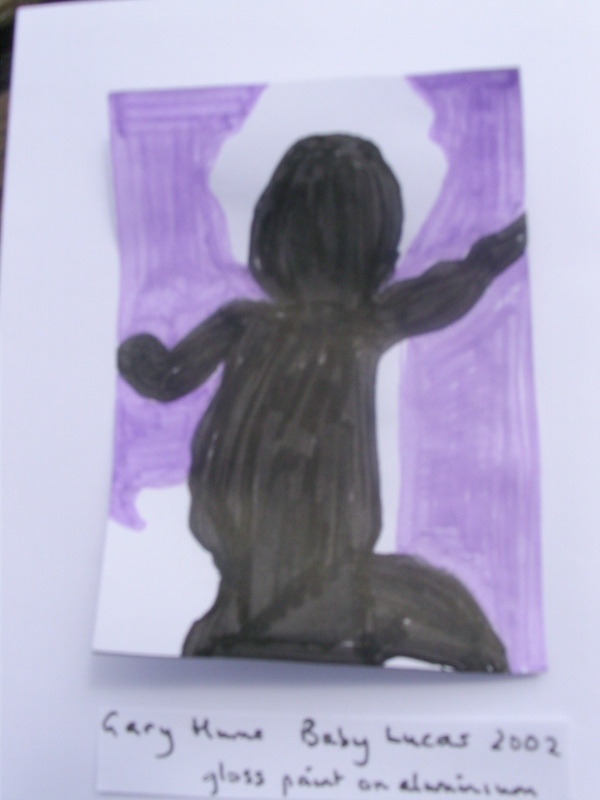 Gary Hume’s painting Baby Lucas uses three colours, black, white and violet, to silhouette the form of his infant son against a parent’s body. Many examples of graphic works that exploit the use of negative space create “trompe d’oeil” effects. Some of Modriani’s still lifes, with their flattening of perspective eliminate negative space between the objects and simplify the background to a horizontal line and change in the muted tone he uses. This has the effect of forcing the eye to take in the image as a whole, rather than drawing it to the objects themselves. Pablo Picasso in his oil on canvas Pot, Wineglass and Book, 1908 depicts the negative space between the glass and pot in a very geometric way, presumably in a stage towards the development of cubism. The images are already quite stylised. By 1912 the negative space in the oil, Bottle of Pernod and Wineglass has been incorporated into the cubist design in a way I don’t understand. Author alison512497Posted on November 17, 2015 February 18, 2016 Categories Negative space, Research, Research Part 2Leave a comment on Part 2. 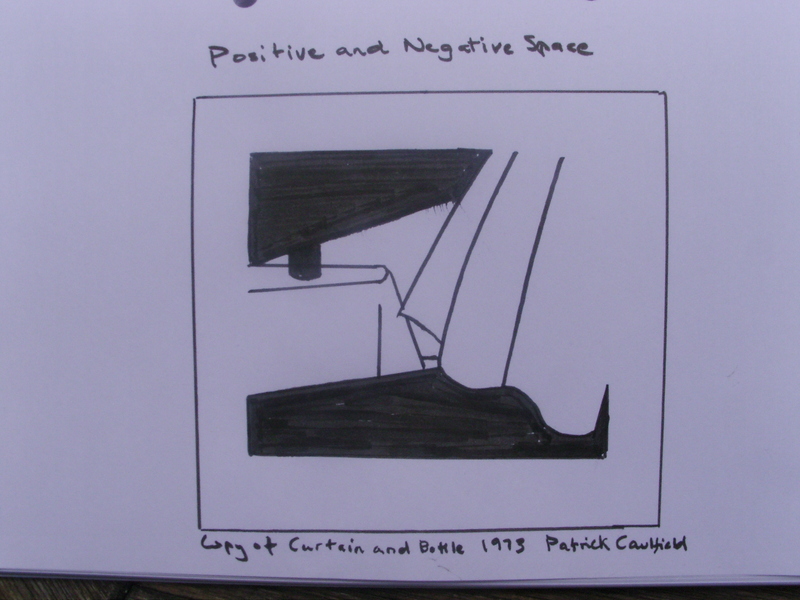 Research: Positive and negative space.